The Novel Bookworm: Giveaway!! A book a day in the month of May!!! Day 8!! Giveaway!! A book a day in the month of May!!! Day 8!! Today's giveaway is Mating Rituals of the North American WASP By Lauren Lipton. If you've missed entering for any of this weeks giveaways, please scroll down to the link with the recap page...there are some awesome books available and I'll start drawing one winner a day on Friday, May 8th! Count me in! And I follow! Please enter me for this drawing. The books sounds like something I would really enjoy. pls enter me in this giveaway! I'd love this book! The name alone says "Read Me"! Ohhh, sounds like a juicy read!! Sounds good. Count me in as well! I would love a chance to win this. looks like a great book! Hahaha - sounds hilarious! Thanks for the chance! Please enter me in today's book giveaway. Thanks. This book sounds good! I would love to read it! Thank you for all of these great giveaways! Please enter me. I'd love to win it. Please count me in! It sounds intriguing, and I love that you're doing this. I would love to enter your drawing. I'd love to be entered, and I already follow. geez, this one kinda sounds like the What Happens in Vegas movie I watched a few months ago! Please count me in! I'd like a chance to win! I follow your blog. This sounds like a good book, thanks for the giveaway! Please enter me! This book sounds really good!And i am already a follower. Looks like a fun read! Thanks! This looks like a great book. Enter me please. I'd love to read this book! Thanks for the chance to win a copy. Oh, this sounds too funny! Please enter me to win. 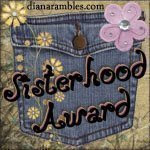 I am following you, and following you on Twitter (@bookchickdi), and will tweet and blog this contest at http://bookchickdi.blogspot.com. This one sounds really interesting! Please count me in. I just read your review for this and it sounds so funny. I would love a chance to win! I am already a follower. I can't believe I thought this books was about actual wasps! After I read the blurb, I realized I was wrong and was trying to find a blog that was giving away a copy. So now I found one! Today's the fifteenth... hope I'm not too late.